Recently, Samsung effectively acknowledged a battery issue with its Galaxy Note8 flagship. 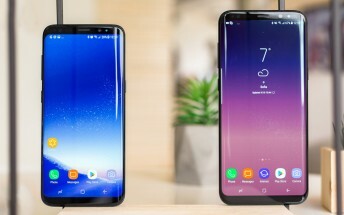 And now the company might be facing a problem with the Galaxy S8 and S8+ as some users report their units randomly wake up without being touched. My new S8+ phone has started waking up from lock screen every 10 sec or so. I did factory reset but it did not fix the issue. This is really annoying. I did google search and it seems that others are also having similar problem. I tried to turn off everything in settings menu that might cause this but still did not help. Needless to say, such a behavior leads to faster battery drain. In addition to the Galaxy S8/S8+, some Galaxy Note8 users have also experienced the issue. Samsung is yet to comment on the matter.